It dates back just two months but the grassroots Idle No More movement to raise awareness of native issues has gained a serious following and significant media attention through rallies, teach-ins and social media. 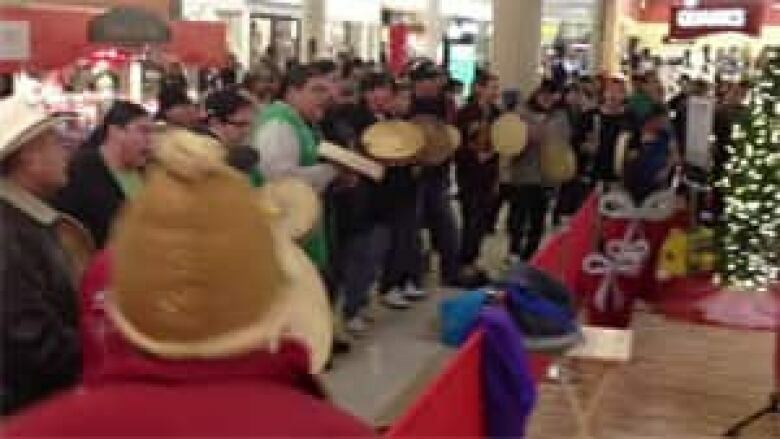 It dates back just two months, but the Idle No More movement to raise awareness of native issues has gained a serious following and significant media attention through rallies, teach-ins and social media. A good amount of the attention has been focused on Theresa Spence, chief of the Attawapiskat First Nation in northern Ontario, who concluded a six-week hunger strike on Jan. 24. 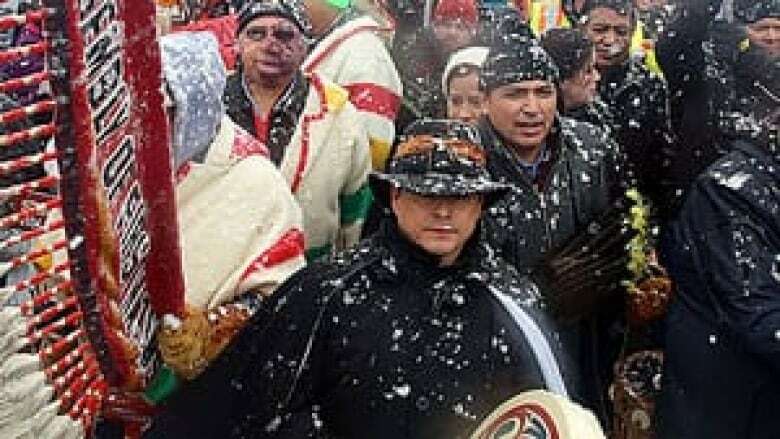 The aim of Spence's protest was to gain a meeting with Prime Minister Stephen Harper and Governor-General David Johnston to discuss how to improve the conditions on native reserves. Here are answers to some questions about Idle No More. What's the goal of the Idle No More protests? The movement says it wants to "stop the Harper government from passing more laws and legislation that will further erode treaty and indigenous rights and the rights of all Canadians." The mission statement reads, "Idle No More calls on all people to join in a revolution which honors and fulfils Indigenous sovereignty which protects the land and water." 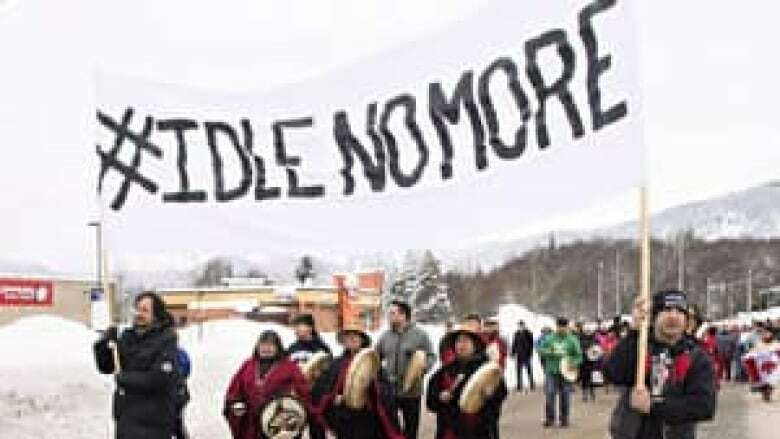 The Idle No More Facebook group, which has about 45,000 members, says its purpose is "to support and encourage grassroots to create their own forums to learn more about Indigenous rights and our responsibilities to our Nationhood via teach-ins, rallies and social media." How did Idle No More get started? In late October, four women in Saskatchewan began exchanging emails about Bill C-45, which had just been introduced in Ottawa. Jessica Gordon, Sheelah McLean, Sylvia McAdam and Nina Wilson were concerned the bill would erode indigenous rights. They decided to organize an event in Saskatoon, set for Nov. 10, and to help spread the word they turned to Facebook. They chose to call the page "Idle No More" as a motivational slogan. A week after that small meeting, there were events in Regina, Prince Albert and North Battleford, Sask., and Winnipeg. A movement was born. Exactly one month after that first meeting Idle No More held a National Day of Action in locations across the country. That's the number of the bill introduced by the Harper government on Oct. 18 with the title, "A second Act to implement certain provisions of the budget tabled in Parliament on March 29, 2012, and other measures." The bill passed and then received royal assent on Dec. 14 and is now known as the "Jobs and Growth Act, 2012." That doesn't sound like something that would spark a protest movement, especially an aboriginal rights movement. What's the issue? C-45 is better known as the second omnibus budget bill. The act changes the legislation contained in 64 acts or regulations. The act itself runs over more than 400 pages. Navigation Protection Act (former Navigable Waters Protection Act). In addition to the changes, those involved in the movement were angered by what they call a lack of consultation with indigenous peoples. The movement has also expressed concern about other acts and bills from the Harper government. What are some of the movement's key objections to the changes to those 3 acts? Indian Act: First Nations communities can now lease designated reserve lands if a majority attending a meeting called for that purpose vote to do so, regardless of how many people show up. Previously, approval required the support of a majority of eligible voters. The Aboriginal Affairs minister can call the meeting to consider surrendering band territory. The minister can choose to ignore a resolution from the band council that's in opposition to a decision at the meeting. Idle No More says these changes allow "for easier opening of treaty lands and territory." Navigation Protection Act: Under the act, major pipeline and power line project advocates aren't required to prove their project won't damage or destroy a navigable waterway it crosses, unless the waterway is on a list prepared by the transportation minister. Idle No More claims the amendments remove that protection for 99.9 per cent of lakes and rivers in Canada. Environmental Assessment Act: The first omnibus budget bill had already overhauled the assessment process and the second one reduces further the number of projects that would require assessment under the old provisions. Idle No More objects to the faster approval process. What's the connection between the hunger strike by Chief Theresa Spence and Idle No More? It was on that National Day of Action that Spence, chief of the troubled Attawapiskat First Nation in northern Ontario, announced in Ottawa that she would start a hunger strike the next day. Her 43-day hunger strike, which ended on Jan. 24, helped generate media attention for Idle No More and she has become an icon for Idle No More activists. Substandard living conditions in Attawapiskat attracted widespread media coverage after Spence declared a state of emergency in late 2011 due to a housing crisis in the community. That's the Twitter hashtag being used to spread information about the movement and to organize its actions. Twitter users add "#IdleNoMore" (upper or lower case) to their tweets and others follow or search for that hashtag. The first tweet with that hashtag was sent Nov. 4 by co-founder Jessica Gordon, whose Twitter handle is @JessicaPGordon. Within weeks #IdleNoMore was trending on Twitter. What's the connection between the Assembly of First Nations and the Idle No More movement? The movement is grassroots. "It's all volunteer and we have no finances," according to Gordon. It has been compared to the Occupy movement that began in 2011. So there is no formal connection between the AFN, which represents First Nations citizens in Canada, and Idle No More. AFN National Chief Shawn Atleo has publicly expressed support for Idle No More. "Through the 'Idle No More' movement, we have seen a tremendous outpouring of energy, pride and determination by our peoples in recent weeks," Atleo said in a Jan. 3 media release. "This level of citizen and community engagement is absolutely essential to achieve the change we all want," he added. What has been Prime Minister Stephen Harper's response to the Idle No More movement? While Harper met with an AFN delegation on Jan. 11, that was a demand from Chief Spence in connection with her hunger strike rather than a demand from Idle No More. Harper was asked at a press conference on Jan. 18 in Oakville, Ont., if he was worried whether the movement will snowball similar to the Occupy movement. He responded, "People have the right in our country to demonstrate and express their points of view peacefully as long as they obey the law, but I think the Canadian population expects everyone will obey the law in holding such protests." An earlier version of this story identified a later tweet, sent by Tanya Kappo, as the first to use the #IdleNoMore hashtag.